April 16, 2014. It was the last day of 3-day New Year party in Luang Prabang, Laos’ former royal capital. It was hot. It was wet. it was great fun, welcoming year 2557 in the Lao calendar! 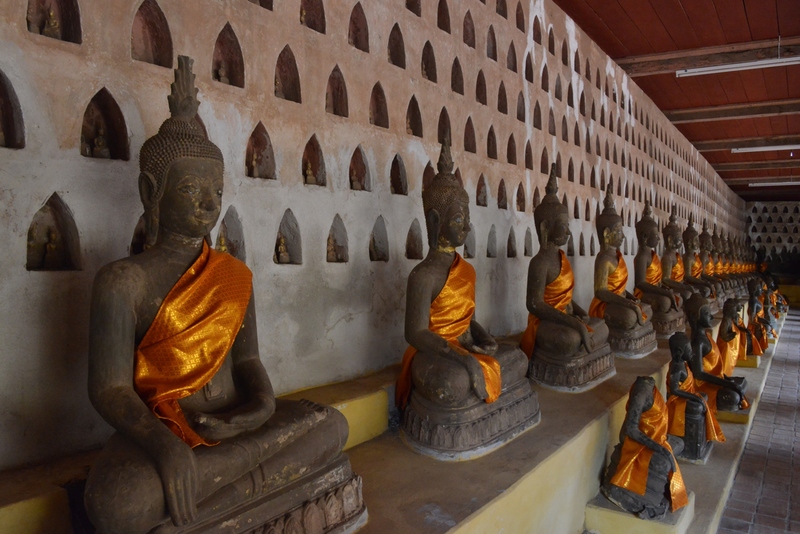 Vientiane’s Sisaketh temple is a great place for reflection – especially when not flooded by tourists, who come from all over the world to the Lao capitol and visit one of Asia’s most beautiful locations for worship. The 17th century pagoda is home to 6.840 Buddha statues. 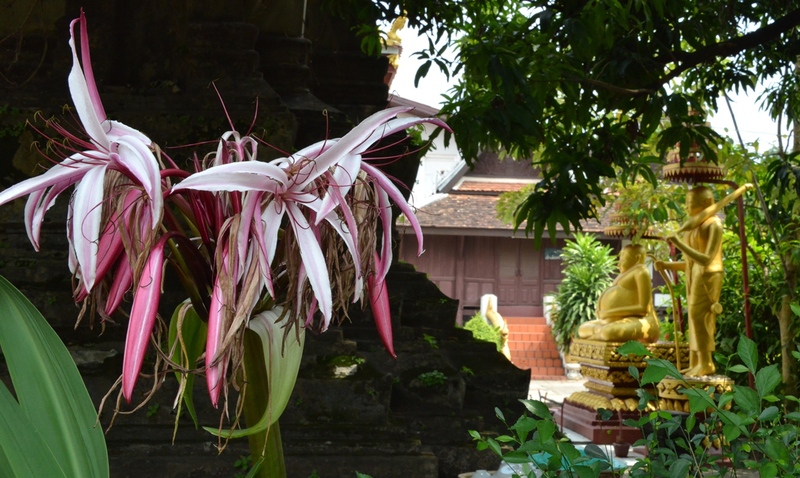 The Sisaketh temple is set in a beautiful garden with the most amazing flowers. 3 months of spring rain is the downside of being a Hanoian. But this is also the basis of rebirth for the magnificent lotus flower fields at the outskirts of Vietnam’s 1.000 year old capital.